Card Text Play: Choose a house. For the remainder of the turn, each friendly creature of that house may fight. 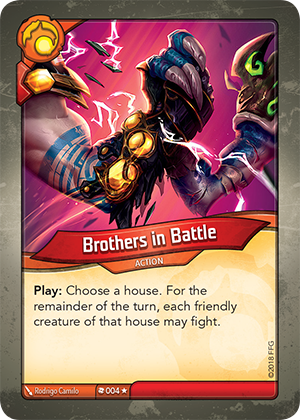 Can Brothers in Battle be played if there are no creatures on either battleline? Yes. You can also collect the Æmber bonus for playing the card.